Orange Business Services has accelerated its LTE-M strategy to support the development of Internet of Things (IoT) solutions for the enterprise market. This follows the announcement by Orange in February 2017 that the Group would be prioritising LTE-M across its footprint in Europe, and it announces significant progress. In Spain, Orange has started several tests with strategic customers and device manufacturers in an open ecosystem of participation. The trials cover different sectors and applications, including smart utility, smart cities and facility management. In Belgium, Orange is preparing the opening of an LTE IoT City in Antwerp, open for customer pilots in Q4 2017. In France, Orange is planning internal trials on both technical and usage aspects starting in Q4 2017. All of these trials are being carried out ahead of the LTE-M network launch in 2018. The availability of LTE-M is part of the Group’s dedicated program to support connected object and module makers. Orange welcomes object makers in its “Open IoT Lab” (compliant with GSMA) located at Orange Gardens. At this innovation site, the Group provides technical resources and expert support. The availability of three LTE-M devices marks a new milestone in Orange’s continuous commitment to boost the IoT ecosystem. a small GPS tracker developed for tracking valuable items. The first samples of these products are now available for testing in customer pilots. LTE-M is an evolution of the LTE (or 4G) mobile network, which is designed to meet the lower consumption required by IoT applications. The network will be integrated into the Orange IoT strategy through the Datavenue IoT and Data Analytics offer. It will enrich the connectivity solutions, such as LoRa®, 2G/3G/4G and Wi-Fi, which connects objects securely. The LTE-M tested modules also enhance the Datavenue connected device catalog, which now has 80 objects. 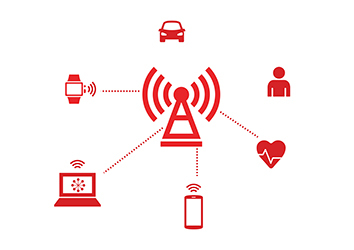 “The development of the LTE-M network is part of our strategy to provide a full range of IoT connectivity options for our customers through Datavenue. The availability of the LTE-M devices enables our customers to start developing their LTE-M applications before the full networks are launched in 2018. We believe that LTE-M is a perfect match for a wide range of IoT use cases in Industry 4.0, fleet management and asset tracking,” said Olivier Ondet, vice president of IoT and Analytics, Orange Business Services. 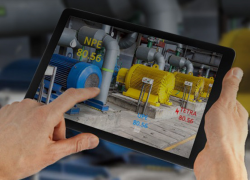 There are many enterprise IoT use cases linked to LTE-M, such as asset tracking, remote monitoring, predictive maintenance, smart metering, telematics and automotive insurance. Demonstrations of the Orange LTE-M network (running live on the Orange Spain network), equipment and use cases will be on display at the IoT Solutions World Congress in Barcelona. An industry first, the live LTE-M demo will leverage the Orange data management platform Live Objects. Visit the Orange booth, #E581, to see IoT in action for the manufacturing, logistics, utility and retail industries. 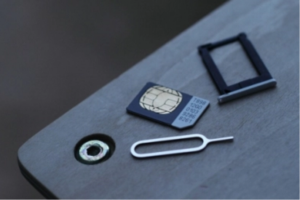 Who is set to benefit from eSIM technology?